Vietnam Airlines has celebrated the delivery of its 11th Boeing 787-9 Dreamliner at Noi Bai International Airport. The plane is the 555th 787 to be built. The aircraft, VN-A871, landed in Noi Bai and has been put into operation, initially on the Hanoi-Ho Chi Minh City route. For Vietnam Airlines’ this also marks the completion of their order of eleven 787-9s. To further strengthen the fleet, eight 787-10s will also be delivered in the coming years, helping to achieve the company’s fleet renewal and expansion plan. 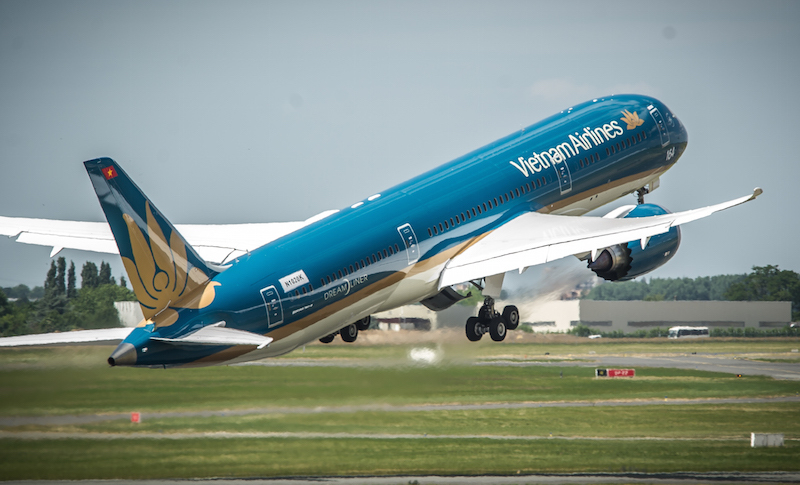 Le Hong Ha, vice executive president of Vietnam Airlines, said: “In just a short period of time, less than two years, Vietnam Airlines is proud to receive its 11th 787 Dreamliner. “This is an important milestone in affirming the outstanding development of Vietnam’s flag carrier – a representative of the Vietnamese aviation industry – to embrace world’s state-of-the-art technology. With a modern fleet of 11 Boeing 787-9 aircraft, Vietnam Airlines’ customer will have more opportunity to experience premium four-star service quality. The airline now operates 787-9s on the domestic Hanoi–Ho Chi Minh City route and six international destinations to London, Frankfurt, Narita, Beijing, Sydney and Melbourne. “With this delivery, Vietnam Airlines now has one of the largest 787 fleets in Asia Pacific. “It is a testament to their commitment to continuous innovation and becoming a leading airline in the region,” said Dinesh Keskar, senior vice president Asia Pacific & India Sales, Boeing Commercial Airplanes. Since its entry into services in 2015, Vietnam Airlines’ Boeing 787-9 fleet have operated over 11,400 flights, equal to 60,700 flight hours and transported over 2.13 million of passengers.